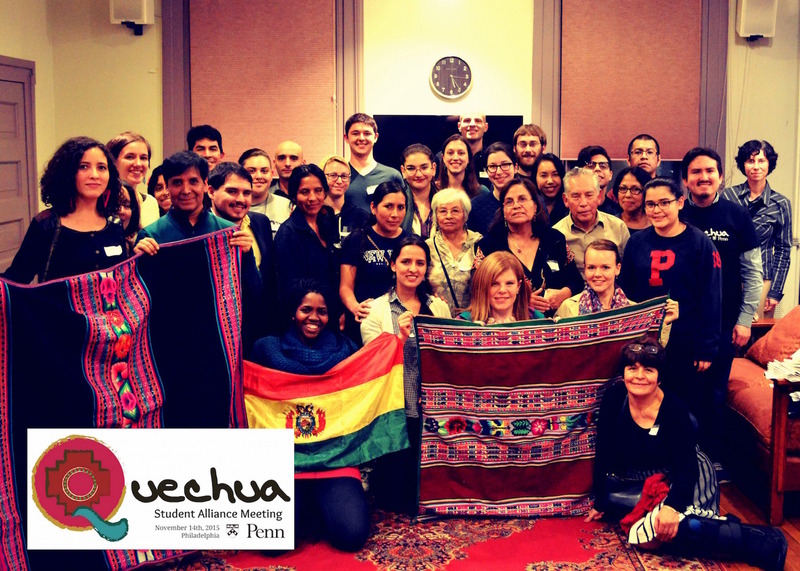 On November 14th, 2015 people from across the United States attended the Quechua Alliance Student & Faculty meeting at the University of Pennsylvania, in Philadelphia. This event was the first of its type in the country. Quechua is the most widely spoken Indigenous language in the Americas with aprox. 6-8 million speakers. 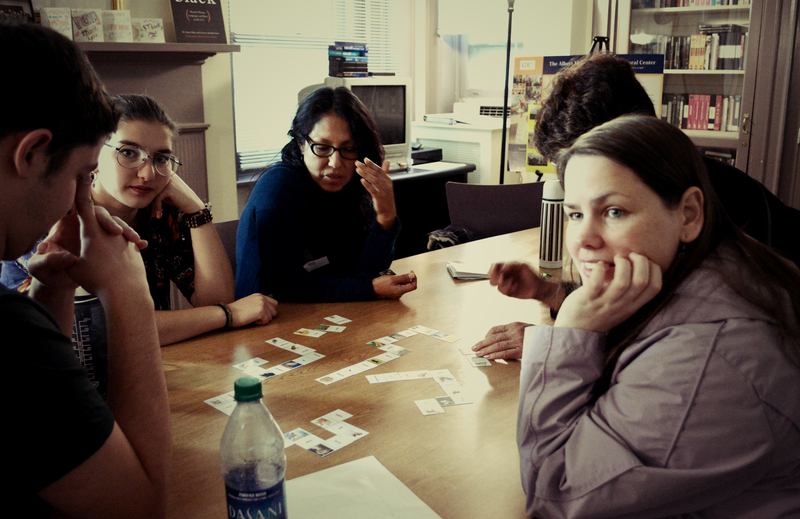 One of the goals of the event was to promote an open conversation about Native-American languages and their space in academia. We also had time for dialogue, lectures, games and songs. 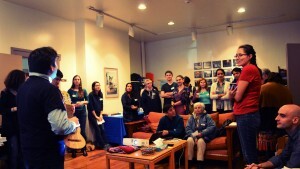 And we also offer tribute to Prof. Clodoaldo Soto (U. Illinois), for his 25-year career teaching Quechua in the US. 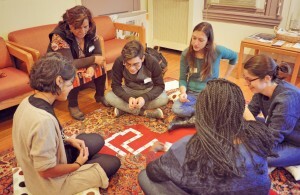 The event was organized by the Quechua Penn Initiative in collaboration with CLACS – New York University, and the Spanish and Portuguese Department of the University of Massachusetts-Amherst. We would like to share some pictures and info of the event. 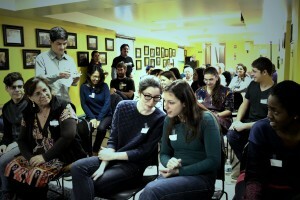 The website Remezcla made a beautiful article about the gathering. We also invite you to listen to a podcast made by the journalist Ariel Goodman. The audio is in Spanish, but there is an English transcript available here, below. 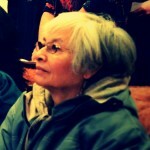 The people interviewed for this podcast were: Elva Ambía, from the New York Quechua Initiative. 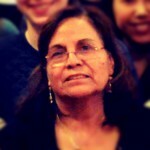 Julia García, from the Washington-DC Global Network Language. 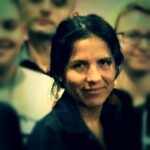 Irma Álvarez, digital activist and developer of Quechua digital apps. 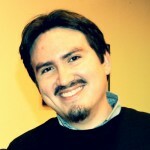 Américo Mendoza-Mori, from the Quechua Initiative at UPenn. Américo Mendoza-Mori: My name is Américo Mendoza-Mori. 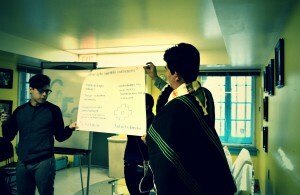 We are at the Quechua Student & Faculty gathering at the University of Pennsylvania, in Philadelphia. 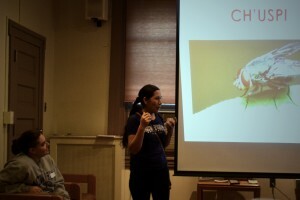 Elva Ambía: Quechua [language] is part of our culture, our identity. Therefore, we shall not forget it. This is one of the reasons because I speak [Quechua]. I was born with Quechua, so I currently live with Quechua as well. Julia García: To me, teaching Quechua means to find myself in the place where I was born, where I grew up. I feel that when I came to this country [the USA] I brought part of my culture where I was nourished with so many teachings and values from my family and my community; so many values I was able to bring with me. I always hear that when you leave your country you leave it behind. That’s not true. We bring with ourselves a little piece of it. To bring that ‘little part’ means: our language, our culture, our rituals. And we still live with these habits. Américo: Quechua could mean, for someone, the story of a person who his/her father spoke Quechua. Or it could be the story of someone who grew up in non-diverse small town in the United States, and that suddenly, that person can find a sort of refuge of his/her cultural heritage through Quechua. Quechua can also be, for me, a way to travel [back] to my country, [Peru]. 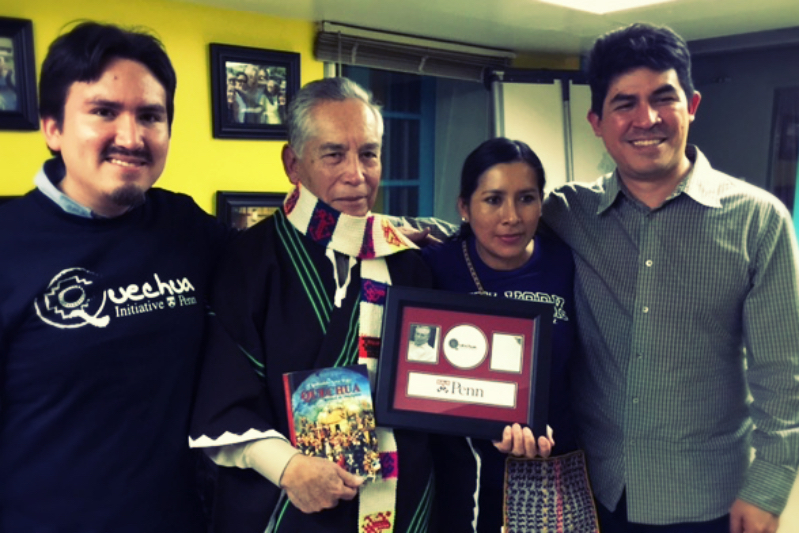 Irma Álvarez: I feel inherent to me the fact of being a Quechua language activist. We should have the right to use the language in any platform: digital formats, computers, radio, TV. Quechua should be available in any social context. Julia: A person might be ‘rich’ in academic degrees, but the base of a person’s identity and culture it is all of what that person learned at home within her/his family and community, the same way as I did. Those teachings can make you hold your breath, you feel like you want to die is you don’t say them, express them or share them. You cannot abandon this world without sharing this type of richness. Américo: This instrument is very popular in the Andes; it’s called ‘charango’: it’s like a little guitar. To me [Quechua] has allowed me to learn a new ‘cosmovision’; each language offers a point of view. 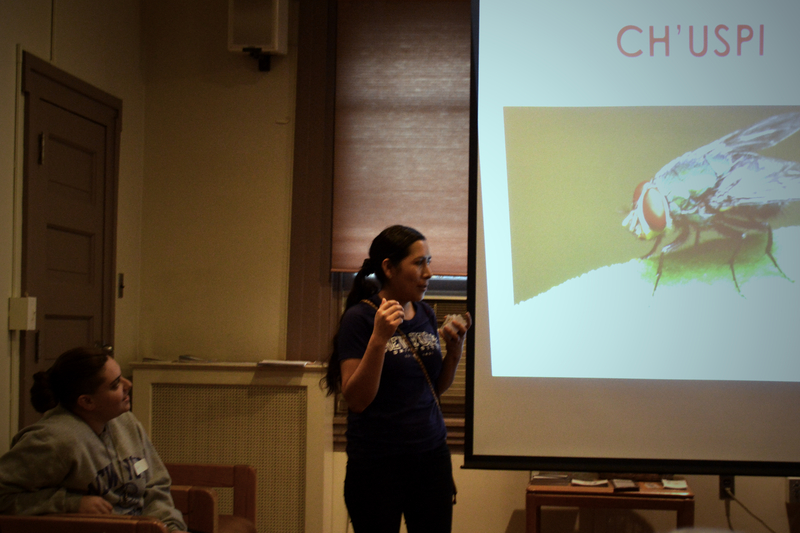 Quechua’s cosmovision educates us a lot with nature and environment issues. When I used to spend some time around peasant communities, we could, sometimes, spend the whole day walking around the Andes. There, I could learn some values of nature. For instance, at 8pm there was no light, so all we had to do before going to sleep was to stare at the stars: to learn how to look at the stars, to learn how to ‘read’ the sky. This [action] has a really beautiful value. 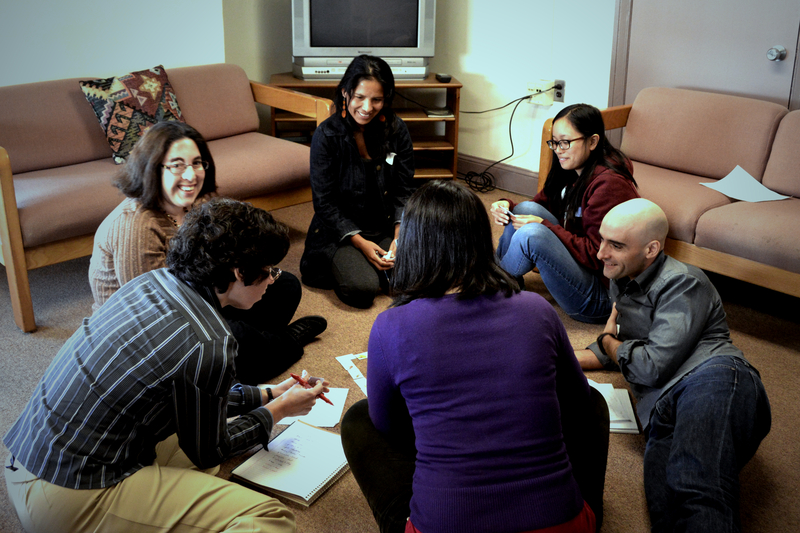 Julia: When I teach [Quechua] classes, I feel like I’m alive again. Every time I finish my classes I feel renewed. Our reality is to live in a different country speaking this foreign language [English], however within our souls there’s a content to give: a message from our culture. This work [teaching] is very passionate for me and provides me life, despite the fact that my family and my cultural environment are far away, in Bolivia. Elva: Here [in the US] we all have to learn the [English] language. I had to do it as well in order to survive. I didn’t teach Quechua to my kids. Quechua stayed inside my mind. My kids grew up without knowing Quechua, but at least we rescued Spanish. They speak Spanish and English very well. And now that I’m retired, I can dedicate myself to teach Quechua to other people. Julia: I feel that by teaching [Quechua], I’m retrieving the cosmic world I learned when I was a girl. That’s my passion. My cosmic world is represented by my mountains, the rivers, the people, the memories. Each day, each ritual throughout the day; I learned the basic family rules. This cultural background for me is like a cloud I have above my head, so every time I have to do something I remember: this is the way to grow my children, the way to prepare food. These rituals mean my world. A world represented with my stars, my moon; all of that is my cosmic world. Welcome to our site. While we are adding content we invite you to stay tuned for our Quechua Alliance Annual Meeting 2018 on November 17th, in Philadelphia (UPENN).